Tailor-made for work and play, the Ram 2500 is a world-class entry in the heavy-duty pickup truck segment. With the debut of the redesigned 2019 Ram 2500 this year, the popular Ram Heavy Duty will deliver more power, more luxury and more technology at every turn. 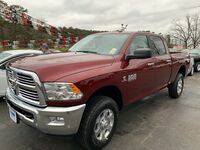 Learn more about the latest edition of the Ram 2500 Heavy Duty with this review of the 2019 Ram 2500 in Clinton, AR. Expected to arrive at Cowboy CDJR in the spring of 2019, the redesigned 2019 Ram 2500 will be available in six hard-working grades – Tradesman, Big Horn, Power Wagon, Laramie, Laramie Longhorn and Limited – that can be tailored to fit your needs, whether it be for work or play. When it arrives, the 2019 Ram 2500 Heavy Duty will start at just $33,395 and will deliver world-class power and capability. What’s New for the 2019 Ram 2500 Design and Features? 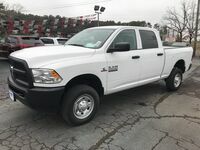 A perfect combination of hard-working power, bold style, world-class ride quality and innovative technology, the 2019 Ram 2500 in Clinton, AR is the perfect fit for families who need a tough pickup truck. 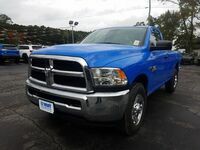 Armed with a high-strength steel frame that underpins a brand-new design, the Ram 2500 Heavy Duty possesses an impressive style that is headlined by six integrated grille designs, a refreshed front bumper, an aluminum hood panel, Halogen and LED headlights, the RamBox Cargo Management System, an adaptive air suspension and an exclusive five-link coil suspension that provides a comfortable ride at every turn. All-new Ram 2500 Heavy Duty pickup trucks provide tremendous power that is complemented by a smooth ride and best-in-class comfort. When the 2019 Ram 2500 arrives, it will be available with three cab options – Regular Cab, Crew Cab and Mega Cab®. Ram 2500 entries equipped with the class-exclusive Mega Cab® provide rear passengers with 43.1 inches of legroom and reclining rear seats. 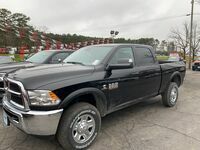 Additional highlights of the 2019 Ram 2500 spec sheet include an available 12-inch Uconnect 4C NAV touchscreen infotainment system, a 750-watt Harman Kardon stereo system, a 360-degree Surround View Camera, premium leather seats and much more. Power is the name of the game in the heavy-duty pickup truck segment and the 2019 Ram 2500 will check all the boxes at Cowboy CDJR. 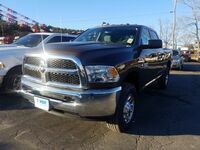 Ram 2500 entries come standard with a 410-horsepower 6.4-liter HEMI® V-8 that is paired with a TorqueFlite eight-speed automatic transmission. To upgrade power, the Ram 2500 Heavy Duty offers a 370-horsepower 6.7-liter Cummins® Turbo Diesel that manufactures 850 pound-feet of torque. When you need even more power, you can opt for the 400-horsepower 6.7-liter Cummins® High-Output Turbo Diesel that shells out a herculean 1,000 pound-feet of torque. Engineered for hard work and play, the Ram 2500 will tow up to 19,780 pounds when properly equipped. 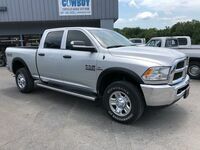 Visit Cowboy CDJR today to get behind the wheel of the all-new 2019 Ram 2500 Heavy Duty! 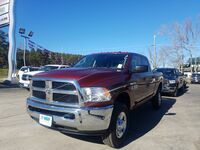 Interested in a Ram 2500?